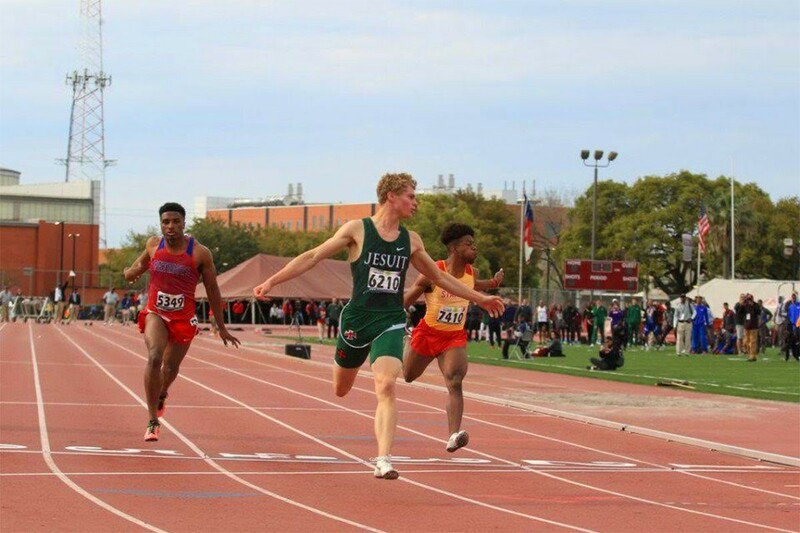 Strake Jesuit senior Matthew Boling recently enjoyed a record-setting day at the Texan Southern Relays. At this track and field event, Matthew ran the 100 meters in 10.22 seconds and the 200 meters in 20.58 seconds, which both stand as the top times in the country. Matthew also holds #1 long jump in the U.S. for high school and college with a distance of over 25 feet and ranks second in the nation with 46.15 seconds in the 400 meters. He recently signed his letter of intent to compete in track and field at The University of Georgia, along with his Strake Jesuit teammate Caleb Cavanaugh. The future looks bright for Matthew and his team as the track and field season continues on.